Early Dance Institute Idea, we would appreciate your comments | The New York Baroque Dance Co.
Brief Description: The Early Dance Institute would provide a comprehensive program in the study of historical dance performance before 1900, supplementing performance with research and theoretical studies, leading to degrees at the graduate level. The faculty would consist of internationally known performers and dance historians who specialize in the performance of early repertory. The EDI would include university-wide academic support from disciplines as diverse as musicology, computer studies, literature, medieval studies, and fine arts. EDI would be a unique environment of research and experimentation that does not exist anywhere else in the world. Here, students could delve deeply into the sources of dance from the 15th-early 19th century, and would eventually be able to independently reconstruct dances as well as use their knowledge for new, contemporary creations rooted in the principles of historic performance practice. While classes in early dance that include technique and discussions of period sources exist in a handful of other universities (Université de Nice inFrance and the Danshögskolan inSweden), they are not comprehensive focuses of study, but rather elements of a well-rounded dance education. Most professional dancers working in period styles in Europe expand their knowledge by taking workshops, working on their own, or learning by performing in various short-term projects. The Early Dance Institute would be the only place where students can fully concentrate on early dance and its application in today’s dance world. This extended period of study outside of the pressures of the current dance scene leads to a more profound depth of knowledge that engender exciting experimentations, fresh ideas about reconstructing dances from period sources, and insights into creating new dances in period styles. Uniqueness of Program: Programs such as EDI are very current in music departments across the country and in Europe. Art History and Theater History programs also exist on the graduate level. The University of California at Riverside at one time carried a Dance History program on the graduate level, but has since changed its focus to world culture. The Early Dance Institute as described in this proposal would be a unique program, drawing international interest from around the globe. This would bring a new era in dance studies and their practical application to dance performance. The program would include lessons in Western period dance technique with extensive solo and ensemble performance opportunities. The program would offer academic courses designed to provide an understanding of the many practical and theoretical areas essential to performance of medieval, renaissance, baroque, and classical dance (e.g. improvisation, ornamentation, articulation, period movement and gesture, mask work, costume design, historical stage direction, historical notation, bibliography, dance theory, etc.). Research would be encouraged, and opportunities for research provided both in academic courses and in elective special projects. The faculty of the Early Dance Institute would make every effort to accommodate a student’s specialized interests without losing sight of a broader commitment to artistic excellence and scholarship. The student body would be comprised of graduate students and a smaller number of undergraduate students minoring in early dance from the culturally diverse student population. In addition, all activities of the EDI would be available to the approximately 200 dance students majoring in standard practice areas. Which classes would be offered/required? 2. Historical Dance Technique as the daily 2 hour technique class. We could offer a different period each semester. Perhaps it should also be at a different time than the ballet and modern technique, so that they could take those classes in addition. We could offer a separate, more “survey” course for the minors and non-early dance students in the afternoon. How does the NYBDC interact with the program? Answer: Teaching technique, composition, notation, early dance repertoire. Acting as advisors. Inviting student dancers to join us in summer projects in European festivals. Working individually with students in applying dance theory to practice in an experimental fashion…this could be a neo-historical effort or an effort to further define a historical style by deepening approaches of “authenticity.” Also, after graduating, for those dancers who wish to continue performing on the stage, we could definitely help to place them in our company or another company they might be interested in. I think we could make this work in the Midwest. With so many early music programs and dance programs at Oberlin College, Indiana University, Case Western Reserve, Ohio State University and Denison University, a production could be created with students where the production would tour the different universities but the student performers would change, depending upon the needs and strengths of the particular university. This would allow the different institutions to join resources to support period theatrical productions in which their students would gain valuable experience and the early dance and music fields would benefit by seeing productions which are too big for the smaller professional companies to produce. The NYBDC dancers could enhance the educational experience by participating in weekend residencies with the various university departments, preparing the students as needed. Theater projects would also be very exciting to do. We could alternate music and theater if we want. We could also collaborate with the Art Department, local Museums, local historical sites and interact with the community on historical projects which would have a dance component. The performance element of EDI is important. Combining theory and practice is very important to me and important to furthering the field of dance history. havin it in ohio is good for Ohio We need a program in NYC .we do not have any classes at all. Once a month diminishes the seriousness of the intent. Sadly, the NYBDC at times loses money on the classes in NYC. �We need a commitment from either students or from an institution which will act as an administrative arm, manage the classes, pay for the space and pay the teachers a modest fee no matter how many students show up. �I am open to suggestions from you. If you can get 20 dancers to sign up for a weekend 3 hour class four times per year, I am interested. Can they afford $30 for such a class? If there are less people…can they pay $50 for such a class? Also, one can always arrange private lessons with me or one of the dancers in the company. Is there any level of commitment to this idea from the faculty or administration or trustees of OSU? I think it is a very exciting idea, but it will go nowhere if the people who control the money aren’t on your side. Would you be willing to pitch this idea to another institution if OSU does not prove receptive it it? Yours is a very good question and you are absolutely correct about the financing. If another institution is interested, I am ready to listen. I truly would like to see the EDI become a reality and I would like to find a home where it is financially stable and supported. I love this idea, especially since I live in Cincinnati! Wonderful news, wherever you do it. Please keep in touch with me to let me know what happens in Columbus! We will keep you informed through the website and release information as we can…it might take a year or two. It is wonderful to hear that people are excited about this idea! ist a wonderful idea I also dream of here in Germany. I would like to support in any way like my kind of teaching documents. Feel free to als me for any support. Thank you so much for your thoughts. Posting on this blog is already voicing support in the beginning stages. As we move along with the project I may ask you for a letter. Your own work in the early dance and music field is impressive and your support means a lot to the project and to me, personally. I understand that you will be teaching a workshop at Indiana University in April. While you are there, you might try seeing if there would be any interest in adding Early Dance to the Early Music Institute at IU. The EDI is a wonderful idea and I hope it becomes reality in a year or two. For years I’ve been wondering why there isn’t anything like this, not just here in Finland but anywhere in the world. It will truly be unique! And it’s invaluable to have you and the NY Baroque Dance Co doing this. Looking forward to hearing from you! Thank you for your comment. It is helpful to gather comments such as yours on this blog. I am building an argument for supporting the EDI and international interest is important! Good work Catherine! if someone succeeds in getting this mighty project off the ground, it has to be you and when you get half way there, I promise to follow suit and rally the West Coas to get the whole country involved. It is about time we get to fully know, appreciate and respect our lineage as dancers. 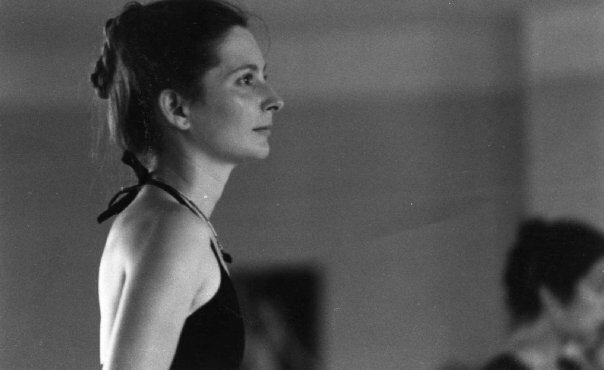 Regine Astier, pioneer, veteran and independent dance researcher. Thank you, Regine. You are a very important part of the picture! This program sounds like a dream come true! Some thoughts… I definitely think that the midwest could be a great home for a program like this. Having gone to school in the midwest, I truly value everything that is unique about it and makes it an excellent location for focused study.Your only difficulty may be finding experts in this field that are willing to permanently relocate to the midwest to teach full time. If you could have a few permanent faculty but keep it in the budget to regularly bring people in from all over the world for workshops and/or as part of the curriculum, I think that would be the ideal situation for students. I can’t wait to hear more, it sound incredible! We will keep your point about faculty and visiting artists/scholars at the heart of the structure. Thank you for your comments!